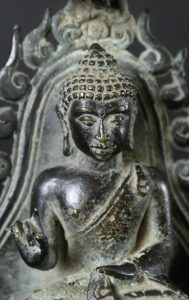 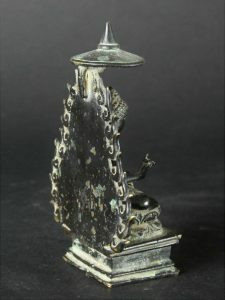 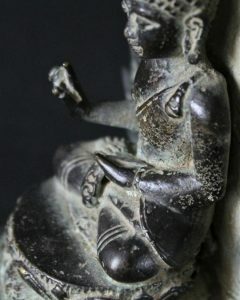 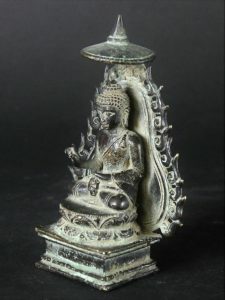 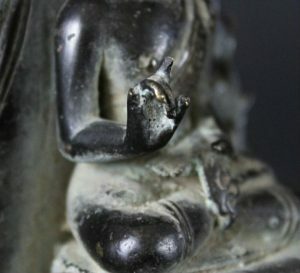 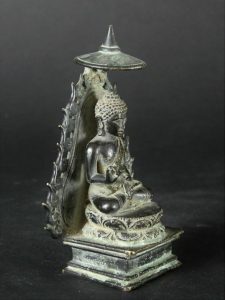 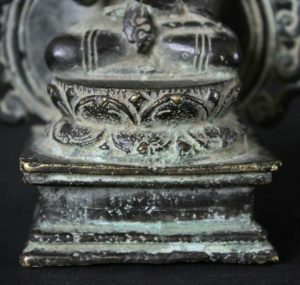 Lovely bronze Javanese Teaching Buddha in full lotus under a small ambrella. 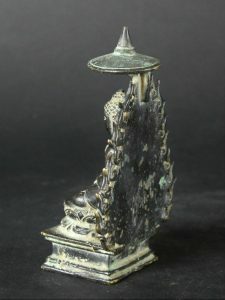 Sitting on a double lotus on a square base. 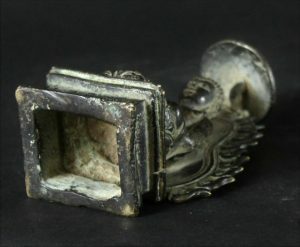 Backshield with flames on the sides. 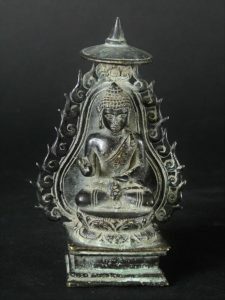 Typical Javanese Buddhist style. 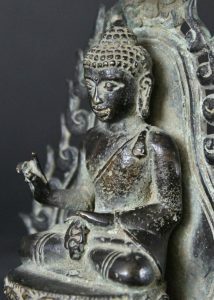 Probably early 20th century Lost wax method Lovely dark patina with some green.